Hey everyone! It's Ashley from The School Supply Addict! Happy Saint Patrick's Day! Not only am I dressed in green today, but I have my blue laid out for tonight. Tis the season... for basketball! I am so excited that the March Madness games start today! My husband and I both went to Kentucky (and met there), so our household bleeds blue. 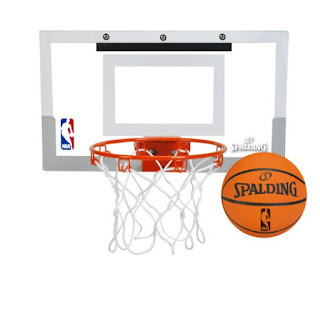 Today, I've rounded up some great basketball-themed resources that I use in the classroom. We use these as calendar numbers and for number sense centers. 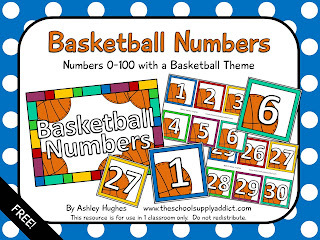 Students can put them in order, use them to identify numbers, and more! My kids are OBSESSED with this game. It's an ABC Ya! basketball game where students solve a series of problems and earn shots on a goal. Students can choose from addition, subtraction, multiplication, and division. There are three levels within each skill (easy, medium, and hard). Although I teach kindergarten, we can still use the easy and medium addition and subtraction. We play it as a whole group where students use mini white boards to solve the problem independently, then we answer as a class. They also have the option to play this game during center time... and they do. It's such a fun game to practice math facts! Those cheap mini hoops are also fun to have in the room! I think I got mine from Target a few years ago. 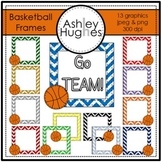 Not only are they perfect for indoor recess, but we use them for some active learning games and review! There are a bazillion ways to use them, but we usually just split up into two teams, have students answer questions to earn a shot, then award points (and use that to practice our tallying, addition, and subtraction.) I also use it as an opportunity to teach sportsmanship and cheering each other on. You can totally adapt it to your class and needs, but that's how we use them. They are stored in my closet and I'm so glad I have them! Cheap investment... lots of fun. You can't go wrong with anything by Deedee. 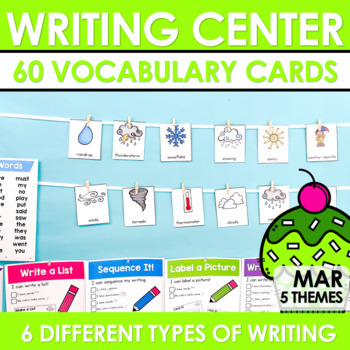 I am obsessed with these writing resources... I have ALL of them. 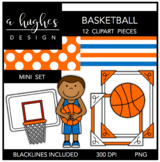 Her March one has resources to make a basketball writing station/center! Perfect! I have never used this before, but have plans for it next year (I'm on maternity leave right now, so I'm having my own tournament of diapers, throw up, and milk). This photo is from The Brown Bag Teacher and uses upper-level books. You can totally do this with any books... Dr. Seuss would be perfect for March! It's a perfect way to integrate literacy, opinions, and a little March Madness! Check out her blog post to see tons of photos and see how she does it. If you've never seen Kid Snippet videos, then you're missing out. Basically, these parents record conversations their kids have, make a video, then use the kid voices as the script. I LOVE them all. This one is one of my favorites and I feel like this is what it's like in my classroom somedays. I have no idea how you'd use it in the classroom, but it was too good not to include. This is a freebie I created a few years ago. They're colored chevron frames with basketballs in the corner. 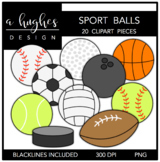 Use them for center pieces, name tags, labels, task cards, and more! 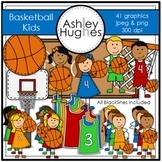 I also have some fun basketball graphic sets if you're in need! Click the images to check them out! I hope everyone has a great weekend! Happy March Madness!!! Poetry Fun in First Grade!